My wife suggested this picture as a present for her family in New Zealand. 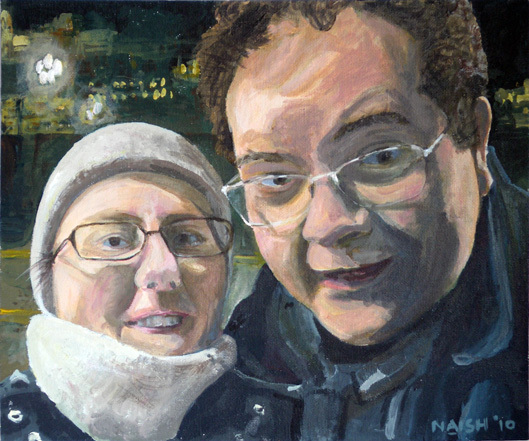 It was based on a much loved but blurred photo of my wife and I on a cold bridge during a short vacation in Budapest. Never fancied myself as a portrait painter really, and this certainly didn’t change that opinion. To me the faces are a bit lifeless, which surely misses the point. Hopefully with a bit more practice, I can return to this type of subject and get better results.